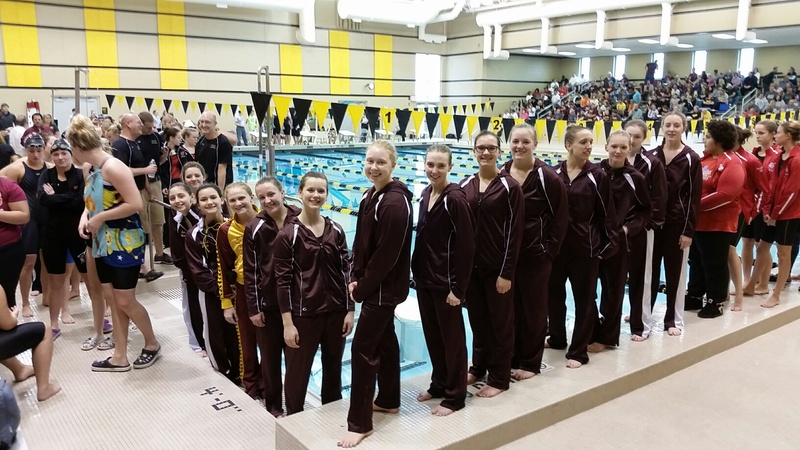 The high school girls season culminated in an exciting regional meet this Thursday (diving) and Saturday (swimming). Regionals is the most important day in the entire season since this “one day, one shot” meet is how the state qualifiers are determined. And all the teams in Iowa definitely brought their “A” game, as evidenced by the state cut times! In fact, the Medley Relay cut is over 2.5 seconds faster than ever before. The 200 Free Relay is 1.5 seconds faster than ever before. And it doesn’t stop there, several individual events are over a second faster than prior years. 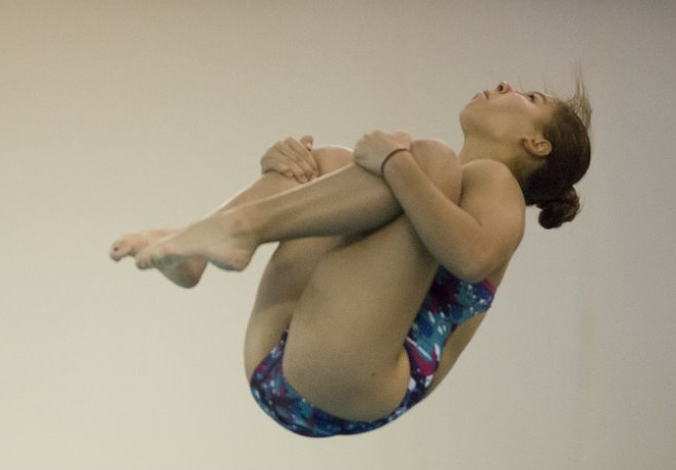 Diving had the second highest cut score in recent state history. But despite that, the Rails had a great Regionals night. Kristan Toben dove her best score ever, 325.05! Jolynn is seeded 5th at the State meet and she’s definitely hoping to take a podium spot at Friday’s meet. Good luck! Ella Worth swam her 100 Back in 1:07.87 (-2 seconds), making the fastest backstroker on the team as a freshman! Ane Skartvedt is now 2nd All-Time in the 100 Breaststroke with her 1:12.26 (-2.3 seconds) and took 5th at the meet! Jordyn DuBois earned her Sub :60 shirt! Below are just a few of the photos from the meet and the after-meet party. View all of the photos from a meet on the swim team’s Shutterfly website. Just log-in. Additional photos can be viewed on the Rails Swimming Instagram and/or Twitter feeds. Team Banquet, Monday Nov. 9th: Following the State Meet weekend, the team banquet will be held in the LHS Commons. The banquet is for all team members and their families. Baratta’s will be catering the meal and we just ask that each family bring $5/per person to help cover the cost of the meal. The team banquet is a chance to celebrate another successful season, hand out letters and team awards, while sharing off-season plans and expectations. The girls typically dress up and take a ton of pictures too.